If your camera has a so-called APS-C size sensor (‘small’ or ‘cropped’ in lay terms), i.e. if it belongs to the entry-level 1xxD, 3xxD, 4xxD, 5xxD, 6xxD, 7xxD series (the ‘hundreds’), the 1xxxD series (the ‘thousands’) or the 4xD, 5xD, 6xD, 7xD range, you will need a lens that’s marked either EF or EF-S. If your camera has a full frame sensor, i.e. 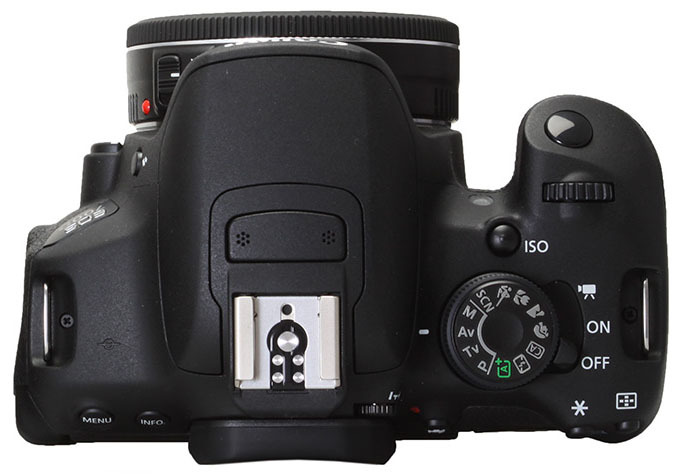 it is one of the 5D or 6D (or even a 1D) models ONLY and a lens that’s marked EF will fit on it. 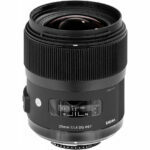 Should I get an EF or an EF-S lens? 1. 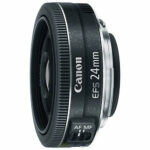 EF-S lenses are always cheaper. 2. Buying an EF lens makes your investment future-proof. If you think you might upgrade your APS-C camera body to a full frame one at some point, I’d recommend spending the extra money on an EF lens. 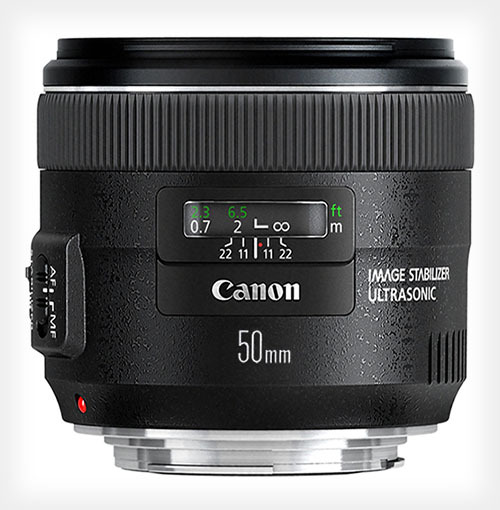 The 50mm lens is a slight telephoto lens on EF-S cameras and is the standard lens for full frame sensors. The 50mm, f/1.8 prime is the cheapest lens on the planet and is a great way to start getting the hang of what prime lenses can do for you. It’s an EF-S lens, but at this price, this shouldn’t worry you. It’s a great focal length for close-ups and portraits. Don’t even think twice about it. Go and get it. It’s around £90. The 50mm, f/1.4 is more expensive. It’s an EF lens. However, it’s price is dropping and is currently available for around £220. The 35mm focal length is one of my favourites. 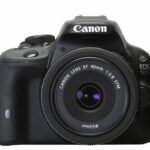 For cropped sensor cameras it is the standard lens, i.e. the lens that will give you the same magnification as your eye. And for full frame cameras it is a mild wide angle lens, a fantastic and versatile creature that is just as great for landscapes, travel and street photography as for intimate portraits. 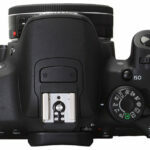 There is just one tiny issue: unlike Nikon, Canon does not make an inexpensive 35mm, f/1.8 lens for its popular cropped sensor EOS DSLRs. Instead, Canon 35mm lenses come in two flavours. 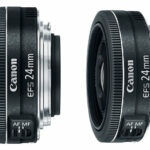 There is an f/2 EF lens (currently slightly under £400) and the f/1.4 EF lens. The latter is a superb lens that offers stunning image quality. It is, however, expensive (just under £900). But all is not lost! As always, second-hand lenses are a great way to acquire amazing lenses at realistic prices. And third-party manufacturers also make lovely 35mm lenses! 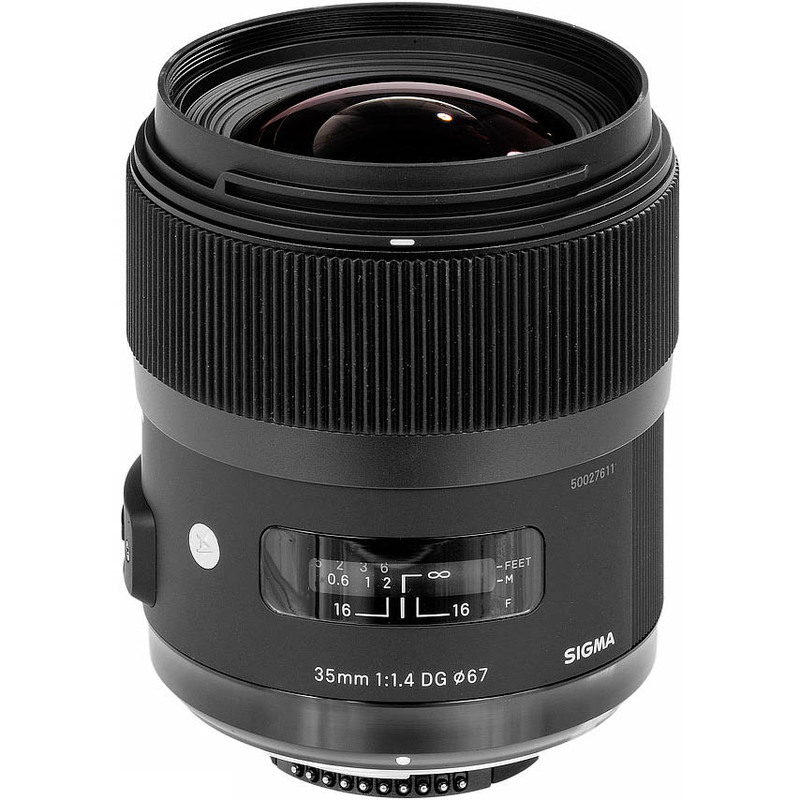 A brand new Sigma 35mm, f/1.4 sells for about £550 these days. Canon makes two great little pancake lenses. Why pancake? Because they are round (not very surprising) and small. Tiny. Miniscule. And that is their greatest strength. 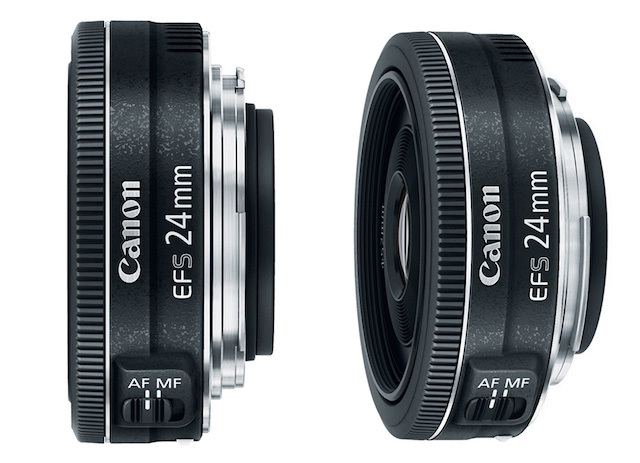 Both the 40mm and the 24mm lenses come with an aperture of f/2.8. 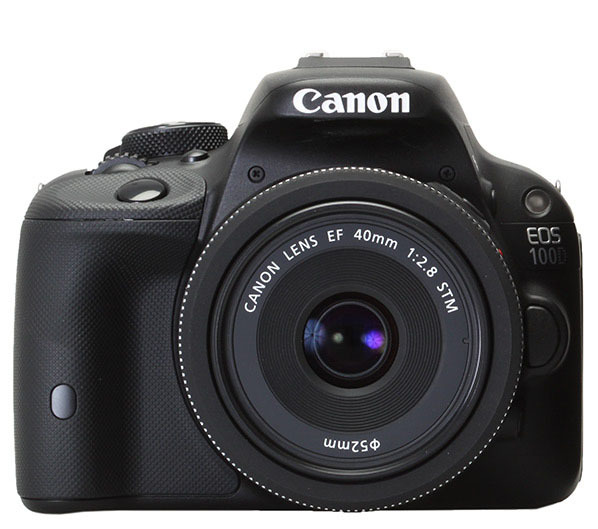 The 40mm focal length will give you a slightly wider field-of-view than the 50mm, making it a great choice for portraits, group shots and generic photography. 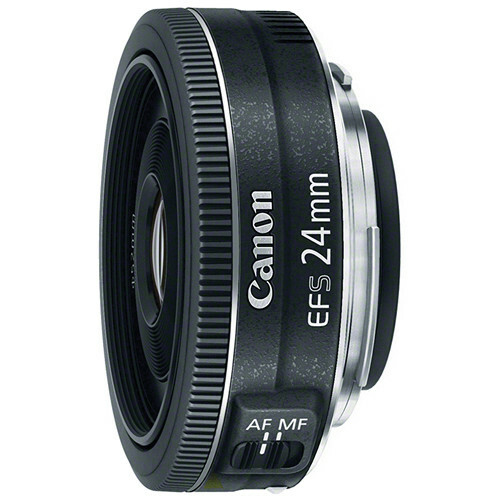 The 24mm lens gives you on cropped sensor cameras the same view as the 35mm on full frame cameras. It is an ideal, inconspicuous lens for travellers and street photographers. Both lenses are currently available for about £100-120.